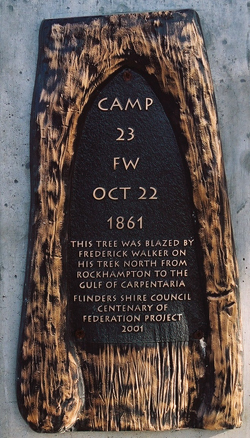 Walkers memorial and tree, Hughenden, QLD. Walkers camp, Bynoe River, Normanton, QLD. 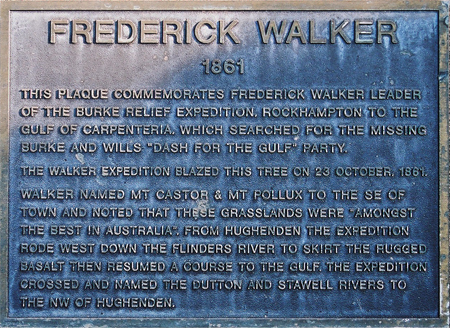 Walkers grave, Floraville Station, Leichhardt River, QLD. Traylan Native Police Memorial, Cerodatus Railway Siding, Eidsvold, QLD. The sites listed above represent a significant stage in the development of our nation. It is important that we all treat these sites with respect to ensure they continue to retain their significance for future generations and do not become degraded or even destroyed by visitor pressure. 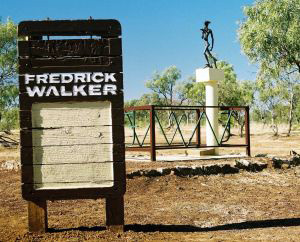 Many of the sites are listed on the federal Register of the National Estate or various State Heritage Registers and are protected under State and Federal legislation, including the Australian Heritage Council Act 2003 and the Protection of Moveable Cultural Heritage Act 1986. Digging, excavation, searching for artifacts and use of metal detectors at historical sites associated with exploration history is prohibited under various State legislation including the the Heritage Act 1992 (Queensland), Heritage Places Act 1993 (South Australia), Heritage Act 1977 (New South Wales) and the Heritage Act 1995 (Victoria). Additional legislation associated with the Aboriginal and Torres Straight Islander Heritage Protection Act 1994 (Federal), the Heritage Act 1977 (New South Wales), the Aboriginal Cultural Heritage Act 1993 (Queensland), the Aboriginal Heritage Act 1988 (South Australia) and the Aboriginal Heritage Act 2006 (Victoria) affords additional protection at a number of significant historical sites. Wherever you travel in Australia, you are in the traditional land of Indigenous Australians. This is country that has been significant to Aboriginal or Torres Strait Islander people for over 60,000 years. Some of the sites listed above may be on private property. The inclusion of these sites on Burke & Wills Web in no way grants access to any of the sites of locations shown. The traveler must obtain permission to visit any private land or protected or closed area. Inclusion of sites on this list does not imply the authenticity of such places. 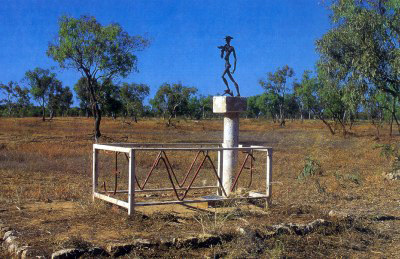 Burke & Wills Web aims to catalogue memorials as sites of interest, rather than pass judgment as to their authenticity.